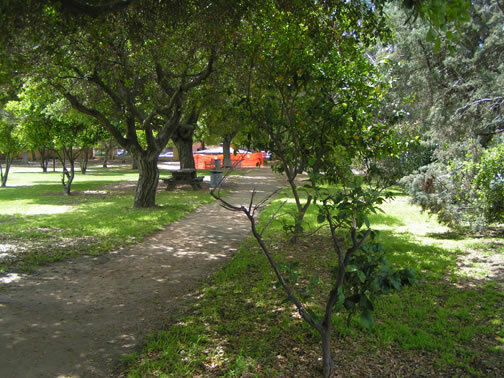 Los Encinos is a quiet refuge in the Los Angeles megalopolis. In the distance is the spring house that encloses the artesian well. It is currently surrounded by orange safety fence because the roof is unstable.